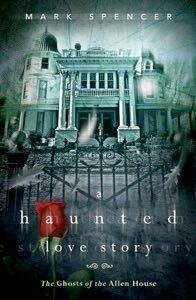 Two true stories intertwine in A Haunted Love Story: The Ghosts of the Allen House. A family moves into the famous haunted house highly skeptical, but soon their chilling personal experiences and the awe-inspiring evidence captured by paranormal investigators turn them into believers. Then when the owners of the house think there can be no more surprises and have no expectation of ever understanding why a former resident committed suicide and why she lingers, the ghost herself reveals her story of longing, passion, and helplessness. 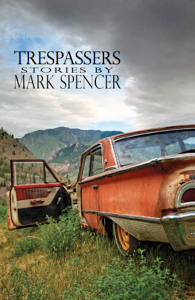 Trespassers, two novellas and six short stories, evokes desperate characters who have an amazing capacity to dream, hope, and surprise everyone, especially themselves, and some times in the most horrifying ways. Characters obsess over a rusty and rotted past with a Gatsby-like belief that all can be resurrected whole and perfect. There are trespassers and those who are trespassed upon. The reader, too, crosses a boundary of intimacy possible only in literature. 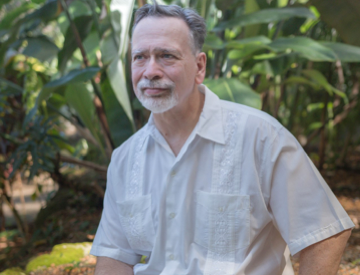 Mark Spencer's latest novel is a follow-up to his best-selling nonfiction A HAUNTED LOVE STORY. 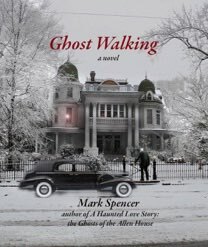 In GHOST WALKING, forty-nine-year-old Southern society belle Ladell Allen commits suicide on Christmas night 1948 in the wake of yet another failed love affair. The dead Ladell spends the next six decades revisiting the past, observing the living Ladell, in an attempt to understand what her purpose in life was, as well as watching the world change within and beyond her home, the Allen Mansion, as she tries to figure out what her purpose in death might be. Looking back, she is mortified by her own foolish desperation in life. Moving forward, she is touched, amazed, and horrified by the living tenants in her home, some of whom she reaches out to with affection, some of whom she terrorizes. She also interacts with other ghosts--her sister, her mother, her son, her infant brother, and her beloved papa, who persistently over the decades pulls up in front of the Allen Mansion in a ghostly black Cadillac, urging her to join him for a ride into the unknown, a ride she is unwilling to take until she has answers to her questions about the meaning of her life and death. In 1962, a bigamist professional wrestler struggles to jump-start his flagging career. In Oklahoma City, he’s The Masked Demon and married to moody Darlene (formerly the “lady wrestler” Darla The Goddess of Sweet Sin). In Dallas, he’s Bible Bob and lives with sweet-natured Candy, a former Sears Roebuck sales girl fascinated with President Kennedy and Marilyn Monroe. In Houston, he’s Samson The Strong Man, a former World Champion in the Southwestern United States, and married seventeen years to prim Rachel Marie, the daughter of a fire-and-brimstone preacher. Against all obstacles, Daryl Lee (his real name) is determined to protect and care for the women and children he loves even as his personal life spirals into a dark and comic absurdity akin to a Texas Cage Death Match.